One thing I love to buy myself is: socks! Weird? Yep. I am really fussy at what kind of socks I wear. The socks have to be a certain material, thickness and length. It's odd and it looks like my eldest daughter is the same too. They have to comfortable and they have to be on my foot perfectly, otherwise it goes through me and I just can't wear them. 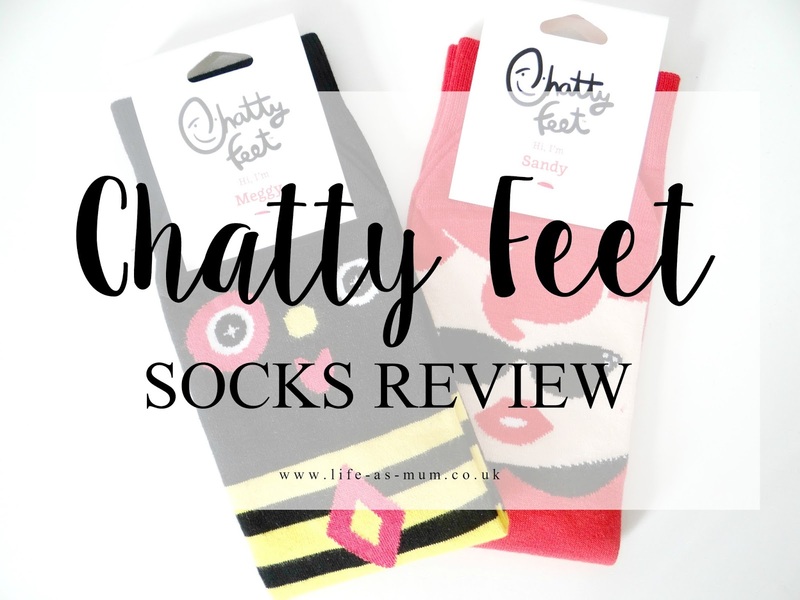 I was recently sent two pairs of socks from Chatty Feet socks. I was sent the 'Sandy' pair and the 'Meggy' socks. My girls absolutely love the socks and they sure did have a giggle when I wore them. There are many different designs for men, women and children. You can also buy gift sets and family sets of these cool socks. These socks are really comfortable and I wouldn't mind buying another pair for myself. These socks can be great as gifts or just to treat yourself. I got a size 4-8 and they fitted me comfortably, I am a size 7. I am really pleased with these socks and the quality of the socks. I sure do love these socks and I will be buying some for my girls and partner in future so we all have a pair to wear. Prices start from £7.50 each for the women's and men's socks. £5.00 for the children's socks and the gift sets start from £11.50. 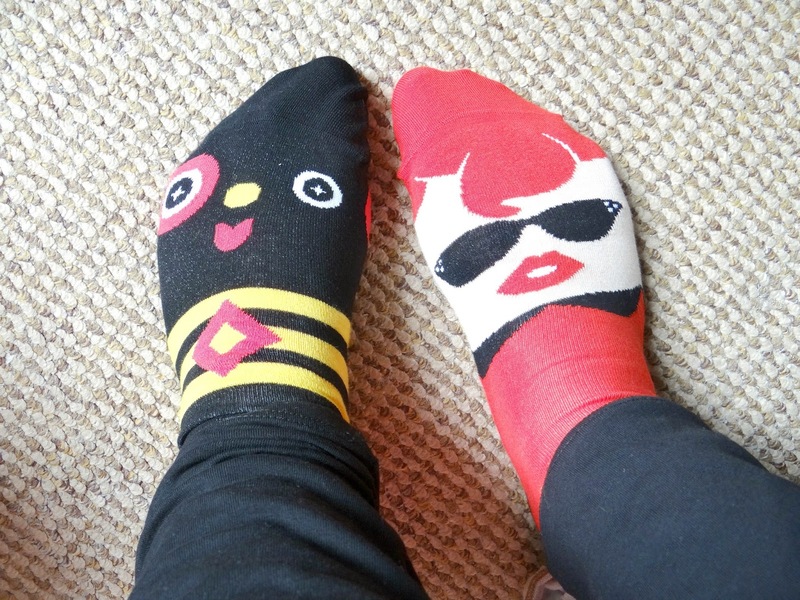 The price can be seen expensive for a pair of socks but if you are wanting some cool looking, comfortable socks then go buy your pair on Chatty Feet now! * I was sent these items free of charge in return of an honest review. Lovely looking socks. Your photos are amazing. Ah these are so cute - my plain black socks seem boring in comparison! Those socks are so cute. I don't wear socks because I'm always losing them! I love buying socks too! Although I'm not bothered what they're like really as long and they are fun and a bit random! Like these! These chatty socks are so much fun! Aw I have Sandy she is a cool gal and Meggy looks sweet too. They are funky socks aren't they? I'm fussy about my socks too! Isn't it sweet how kids love silly socks? My 1 year old can stare at her Toby Tiger foxy socks for ages and then look up at me with a big grin. Oh they look super cosy and such cute designs, I want a pair! I keep seeing these socks everywhere, the designs are very colourful. I love the designs on these. Super cute! I think my daughter would love a pair. What fun, silly socks! Glad you enjoyed them. These socks are so much fun. They put my boring black ones to shame. They look really fun and cute! I think they would make great gifts! Those are the cutest socks ever! Hehe I like these. Definitely more expensive than the socks I usually buy, but I do love a good comfy pair. I have some of these socks and they do make a nice chance to plain black (boring) socks. these cute pattern socks are looking very comfortable. I have some pair of these socks and Now I want to buy some other pairs.